Hokusai, Katsushika. 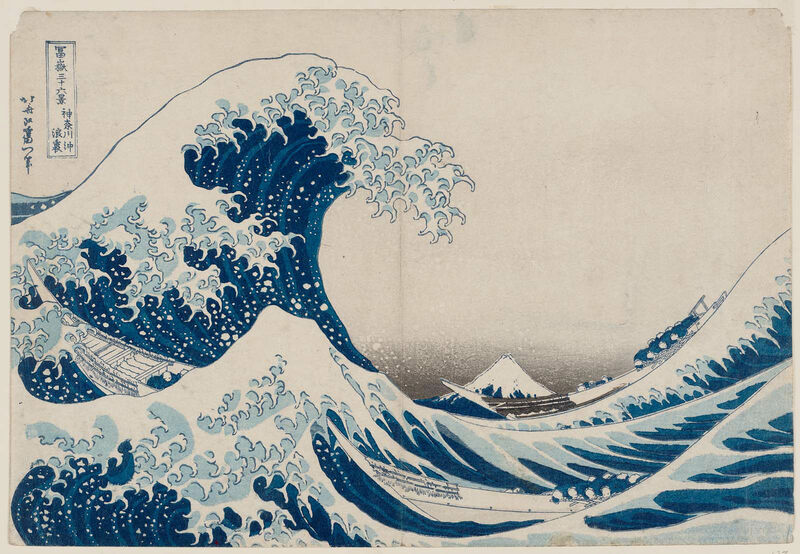 Under the Wave off Kanagawa (Kanagawa-oki nami-ura), 1830 – 31, Woodblock print (nishiki-e) and ink and color on paper, 5.2 cm x 37.2 cm. Boston, Museum of Fine Arts. e.g. Hokusai, Katsushika. Under the Wave off Kanagawa (Kanagawa-oki nami-ura), 1830 – 31, Woodblock print (nishiki-e) and ink and color on paper, 5.2 cm x 37.2 cm. Boston, Museum of Fine Arts. Accessed July 15, 2015. http://www.mfa.org/node/399861#5.